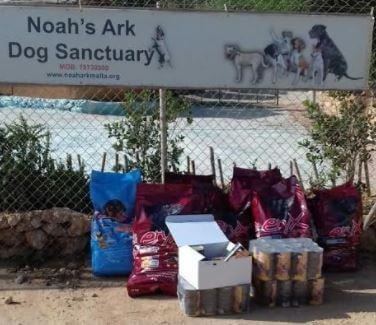 “NOAH’S ARK” DOG SANCTUARY received a new products delivery! We are happy to know one more Animalslife.net project’s member got a new dog feed delivery. You also can buy food for the dog sanctuary here as well! Just check the live stream on the “NOAH’S ARK” DOG SANCTUARY home page and find the products necessary for the shelter: the purchased food will be later delivered to the sanctuary. Tell your friends about the shelter on the distant island of Malta!